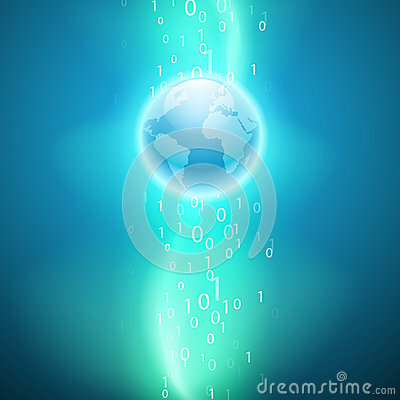 Stream of binary code to the globe. Stream of binary code to the globe. EPS10 vector background.